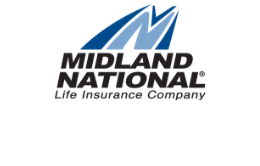 In 2003, Midland National, based in Sioux Falls South Dakota and West Des Moines, Iowa reached 100,000 annuity contract owners. Throughout the 2000s, the company experienced tremendous success, and offering multiple kinds of annuities, including fixed index, traditional fixed and immediate annuities. You can read more about each in the table above.